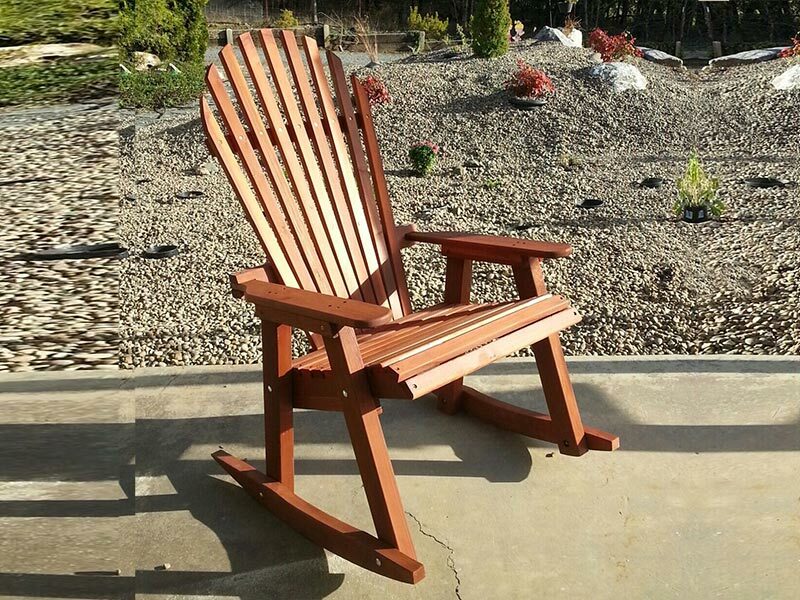 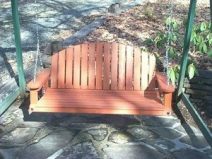 Our Redwood Fanback Adirondack Rocking Chair has arched fan back style. 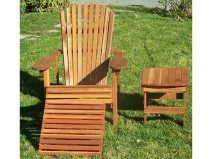 Constructed of old growth redwood. This rocking chair is a perfect match to our Redwood Fanback Adirondack Chair. 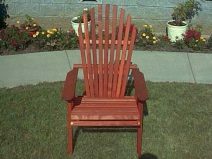 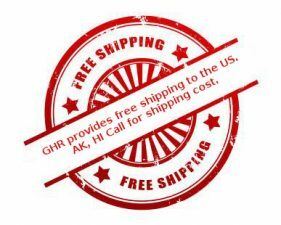 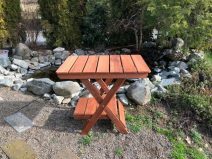 Redwood Fan Back Adirondack Rocker is constructed of clear medium growth redwood. 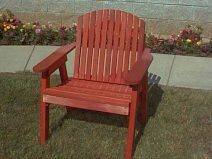 The seat back angles back only slightly and the front edge of the seat is curved for comfort at the knees.